On July 26, 2007, the Muslim ummah lost an outstanding personality, prominent scholar and theologian Quramuhammad Haji Ramazanov. He fell a martyr, returning from the mosque, reciting the Quran on his lips. Together with him his younger brother Abdullah Hajji, who always accompanied him, also returned to His Lord. Quramuhammad Haji was called as Imam Nawawi of our time. He was an amazing person who devoted himself entirely to spreading the true Islamic values. Every minute he tried to use with purpose and not to waste aimlessly. With his life he showed an example of a true service to the Almighty, true love for His Messenger ﷺ, and also for the heirs of the Prophet ﷺ. This pious Alim was born in 1956 in the village of Zekhida of Tsuntinsky district Dagestan. He began to learn Islam from an early age. At first he received religious primary education at home, his father taught him to read the Quran. Then he decided to go to Zagatala to the teacher Abdul-Hafiz. After completing eight-years in secondary school he went to Buinaksk, where many religious scholars resided at that time. Kuramuhammad Haji approached everyone in an irrepressible thirst for Islamic knowledge, he studied almost with all of them. His teachers were Nurmuhammad from Untsukul, Siddiqil Ali Hajji from `Aimaki, Muhammad Haji from `Asab and many other well-known Muslim scholars. He studied the book "Fathul Mubin" in the hands of Sheikh of Khuchada Meselasul Muhammad Afandi in Nechaevka. 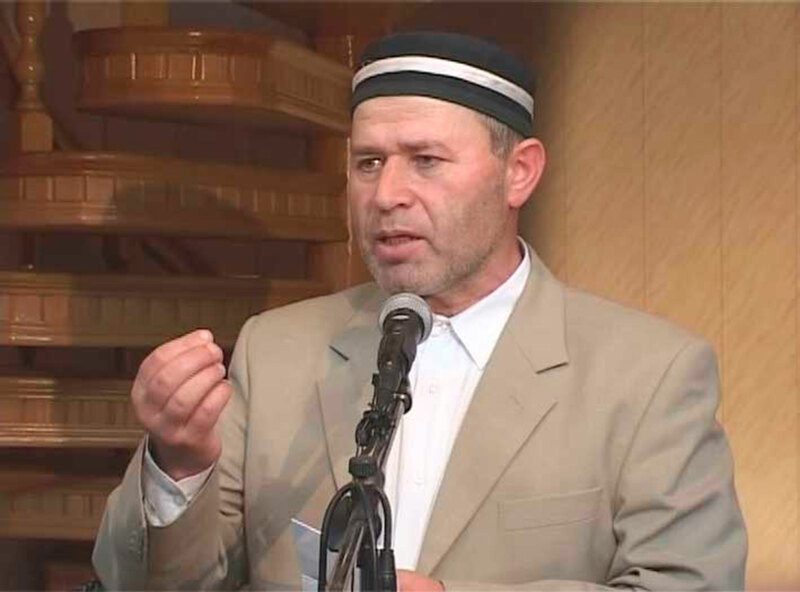 Each time before studying a book or choosing another teacher, Kuramuhammad Haji consulted with his spiritual mentor Sheikh from Batlukh Muhammad-Afandi, who lived then in Buinaksk. However, Quramuhammad Haji was not only trained in this city. Like the wanderer, he followed the alims, asking them to teach him, since the time was such that one could not share knowledge of this kind with a neighbor. So, by the will of Allah, with his own perseverance and diligence, he received an education that was recognized both in Russia and in many Islamic countries. Most importantly, Kuramuhammad Haji generously passed knowledge to others, each time rejoicing when he managed to teach someone. When the Islamic Institute named after Saifullah-Qadi was opened in Buinaksk, Kuramuhammad was invited to work as a Deputy Rector for academic affairs. Then, for a while he worked as an Imam in Buinaksk. In 1991, Kuramuhammad performed a Hajj, during which he fell seriously ill (bleeding stomach). Arriving from the Hajj, he immediately went to the mountains to his mother. Being very depressed by illness he lost all interest in life. Then the spiritual mentor from the village of Batlukh, patting him on the back, said: "Do not rush to die, you will teach many more scholars." After receiving treatment in the hospital, Kuramuhammad Haji again resumed to train the students. In 1994, together with other Dagestani scholars, he went to Damascus in pursuit of knowledge, where he studied at the University of Abu-Nur. In 1996, at the invitation of Mufti Sayyidmuhammad Hajji Abubakarov he came to work in the canonical department of the Dagestani Muftiyat, where he worked as the head of the department until the end of his life. Quramuhammad Haji also worked as an Imam of the Imam Shamil mosque in Makhachkala and Imam-khatib in the Central Jum`ah mosque. But the biggest and most responsible he considered ideological work via the media. He constantly spoke with sermons on television, radio and on the pages of the periodical press. He authored more than twenty books on Islam. More than ten books were published to expose the ideology of Wahhabism. Each of his books was a relevant lesson and a timely contribution in the knowledge of Islam for Muslims. Kuramuhammad Haji paid great attention to studying the foundations of religion, attracting more capable children to study the sciences. He did not like to spend a single minute of his life without benefit. He was completely absorbed in Islam not paying attention to worldly life. Today, hundreds of his students in Russia are engaged in educational work, promoting the kind of Islam, which reveals all the beauty and splendor of religion. His energy, his desire to live in the name of faith, were passed on to his numerous disciples, who use his legacy in their life. May Allah forgive all the sins of the fallen for the faith (martyrs) and may Allah Almighty not deprive us of their intercession (Shafa`at) on the Day of the Great Judgment! Amin. Evening of Dagestani culture at "Ramadan Tent"